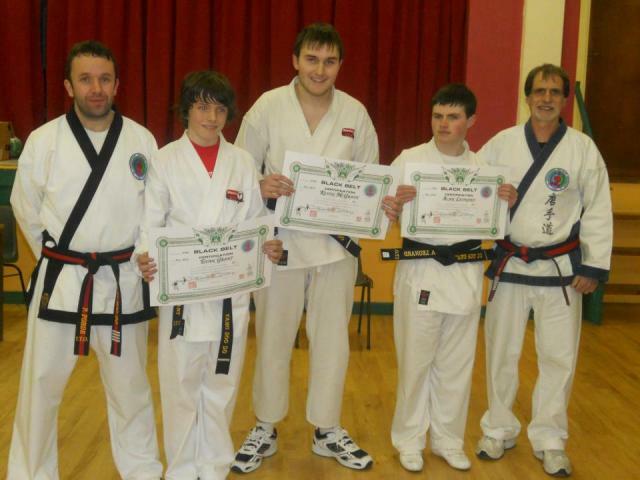 Congradulations to our newest black belts Alan Leonard, Evan Grant and Kevin McGrath. Also well done to Mr Pat Hedderman who successfully tested for 2nd Dan. All black belt students were tested by Master Forde and Grand Master Giacobbe Well done lads.